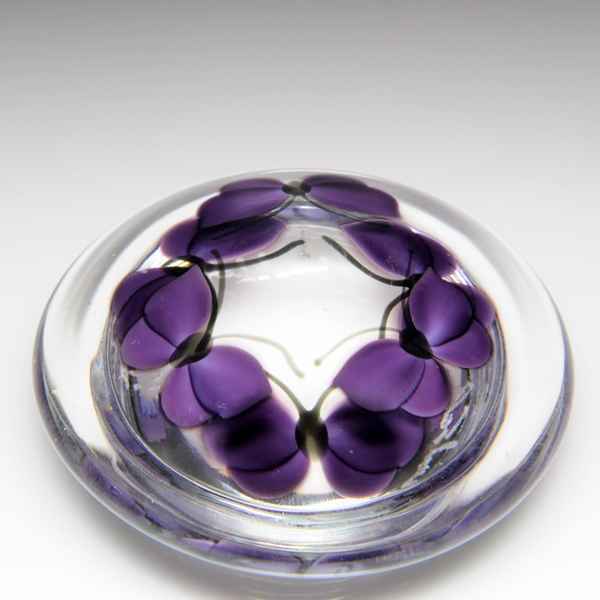 Lundberg Studios 2013 purple wisteria and butterflies petite jewelry jar, by Daniel Salazar. Clusters of purple wisteria and green leaves hang on dark vines over clear ground. Several purple butterflies adorn the clear round lid. Signed/dated. Diameter 3 3/4".